The only thing better than regular vape juice is regular vape juice with ice and Ez Duz It on Ice Nic Salt, all we can say is come through! This delectable blend takes our two favorite fruits, succulent strawberries and refreshing watermelon, blends them exquisitely and dips them in a heavy bath of menthol for an iced out taste. Is it cold where you are because I am freezing already. Ez Duz It on Ice is about to be every vaper's favorite juice. It delivers exceptionally well in every aspect, from texture taste, to nicotine strength. This particular blend is made with nicotine salt that allows you to vape as high as 35mg of nicotine without any harshness to your throat. Enjoy an extremely delectable combo with a freezing twist. 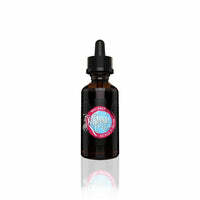 This vape juice is sure to keep you on cloud nine for a very long time. If you're looking for an all day vape, Ez Duz It on Ice Nic Salt might as well be your go-to option. Disappointment is a far cry and we are extremely sure that you would fall in love with the satisfying flavor as did we. Treat your self to something exquisite and indulge in the deliciousness that is contained in this e liquid. We think you deserve it. You should think so too. Word of advice, you might want to stock up on as many of the juice flavors as you can. Word travels fast and you know what happens when an e juice is as good as this one is. You don't wanna "wish you had", when you absolutely can, now. Get out your card already, you know what to do!